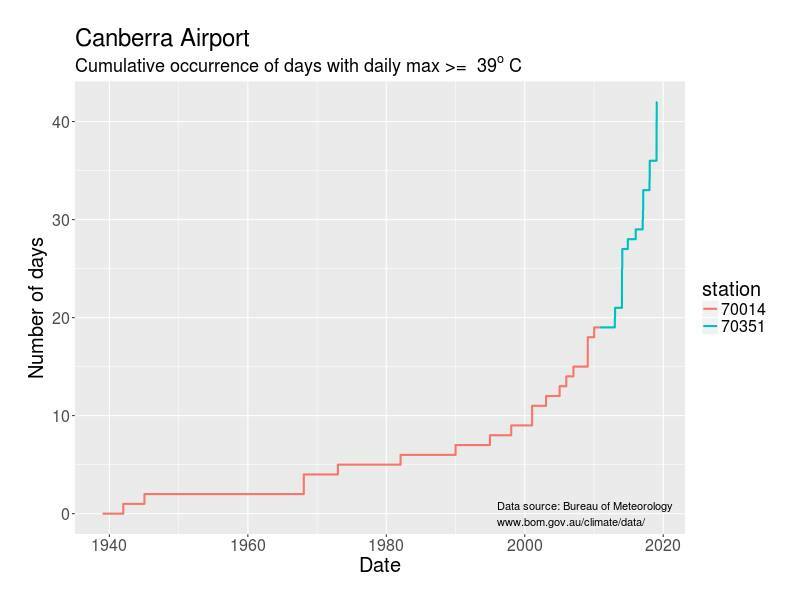 Canberra’s Bureau of Meteorology temperature record has 42 days at or above 39 degrees since 1939. These days are becoming more frequent over time. ← RALLY! StopAdani – Climate Action Now!